On this page you'll find a selection of items belonging to the group of baby foods. Through the links on this list of foods that are baby foods and you will know their properties and amount of nutrients that each food has. Below is a list of foods belonging to the category of baby foods. Clicking on each one of them, you can view the properties of oils and nutritional information in addition to the benefits to your body. 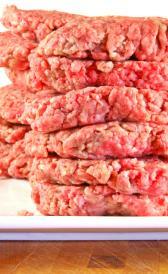 Strained beef meat: Strained beef meat is low in carbohydrate, total dietary fiber and total sugars. Junior beef meat: In this food there are some nutrients that are found in low quantity, for example carbohydrate, total dietary fiber and total sugars. Strained veal meat: Strained veal meat is low in carbohydrate, total dietary fiber and total sugars. Strained pork meat: In food has a low quantity of carbohydrate, total dietary fiber and total sugars. Strained ham: Strained ham is low in carbohydrate, total dietary fiber and total sugars. Junior ham: In this food there are some nutrients that are found in low quantity, for example carbohydrate, total dietary fiber and total sugars. Strained lamb meat: In food has a low quantity of carbohydrate, total dietary fiber and total sugars. Junior lamb meat: This food has a low quantiti of carbohydrate, total dietary fiber and total sugars but has a high quantity of zinc. Strained chicken meat: In this food there are some nutrients that are found in low quantity, for example carbohydrate, total dietary fiber and total sugars. Junior chicken meat: In food has a low quantity of carbohydrate, total dietary fiber and total sugars. Strained turkey meat: In this food there are some nutrients that are found in low quantity, for example carbohydrate, total dietary fiber and total sugars. Junior turkey meat: In food has a low quantity of carbohydrate, total dietary fiber and total sugars. Junior turkey sticks: Junior turkey sticks is low in carbohydrate, total dietary fiber and total sugars. Junior meat sticks: In this food there are some nutrients that are found in low quantity, for example carbohydrate, total dietary fiber and total sugars. Toddler beef stew dinner: In food has a low quantity of total lipid, carbohydrate and total sugars. Strained green beans: In food has a low quantity of food energy, protein and total lipid. Junior green beans: Junior green beans is low in food energy, protein and total lipid. Toddler dices green beans: In this food there are some nutrients that are found in low quantity, for example food energy, protein and total lipid. Strained beets: Strained beets is low in food energy, protein and total lipid. Strained carrots: This food has a low quantiti of food energy, protein and total lipid but has a high quantity of vitamin a, vitamin a and alpha-carotene. 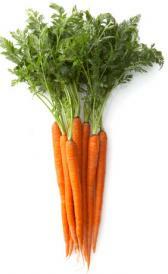 Junior carrots: High in vitamin a, vitamin a and alpha-carotene and low in food energy, protein and total lipid. Strained squash: High in lutein+zeazanthin and low in food energy, protein and total lipid. Junior squash: Junior squash is high lutein+zeazanthin. On the other hand. is low in food energy, protein and total lipid. Sweet strained potatoes: High in vitamin a and beta-carotene and low in protein, total lipid and calcium. Junior sweet potatoes: Junior sweet potatoes is high vitamin a and beta-carotene. On the other hand. is low in protein, total lipid and calcium. Toddler potatoes: In food has a low quantity of protein, total lipid and ash. Toddler dices apples: In food has a low quantity of protein, total lipid and ash. 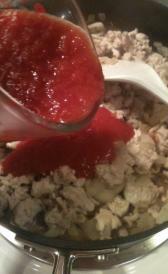 Strained applesauce: Strained applesauce is low in food energy, protein and total lipid. Junior applesauce: In this food there are some nutrients that are found in low quantity, for example food energy, protein and total lipid. Strained creamed corn: Strained creamed corn is low in protein, total lipid and total sugars.